Solar power is going mainstream. Today, nearly 800,000 U.S. homes and businesses have installed solar electric systems, also called solar photovoltaic (PV) systems, for their cost savings and environmental benefits. If you are considering going solar, industry experts will tell you that teaming up with a reliable, experienced solar installer is the single most important strategy for the success of your project. We specialize in solar panel power systems in Southeast Michigan. Oak Electric Service is one of Southeast Michigan’s leading installers of solar panels and wind power systems for residential and commercial customers. Give us a call at (800) 964-7070. We are standing by to answer all of your residential and commercial electrical questions. We will always personally answer your phone call – you will never reach an answering service! Be sure to ask about our other services as well – electrical, automatic back-up generators, heating, cooling, plumbing and solar…one call covers it all! Experience. 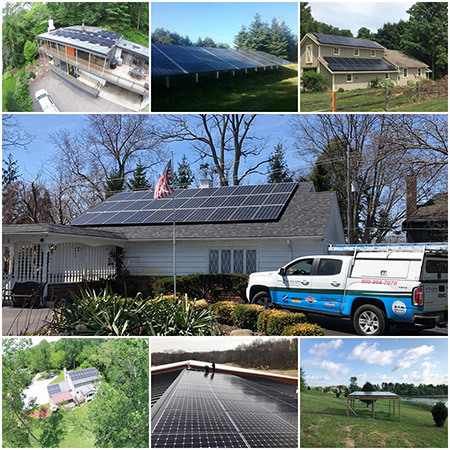 Since creating our Green Division in 2008, Oak Electric Service has grown into one of Southeast Michigan’s premier solar panel system installers for residential and commercial applications. 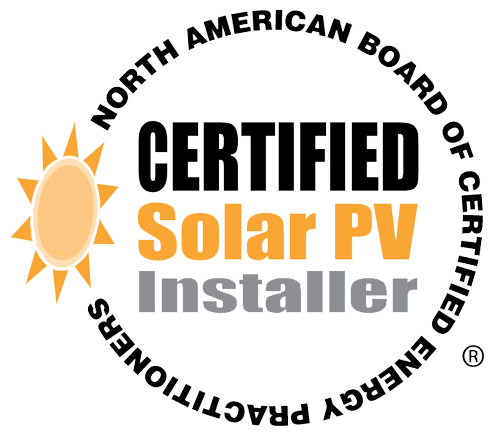 We are proud to be a NABCEP (North American Board of Certified Energy Practitioners) PV installer. This voluntary certification means we have completed the training, passed the exams and demonstrated competence in the field. We offer the sales and installation of solar equipment from leading manufacturers and are a Sunpower Premier Dealer. Oak Electric offers a number of convenient financing options to add to the affordability of your solar purchase. Give us a call today at (800) 964-7070. Our in-house solar experts are available to answer questions about your specific solar installation, including the availability of federal tax credits for renewable energy projects. The 30% Federal Tax credit expires 12/31/2018 – don’t wait, call Oak today (800) 964-7070! We are now a certified Sonnen (energy storage) partner! We have been installing Sunpower solar panels for years so it is the perfect pairing for the most well rounded solar package! Oak Electric has completed some of the largest solar power installations in Michigan in areas including: Ann Arbor, Birmingham, Brighton, Clarkston, Commerce, Dexter, Farmington Hills, Grosse Pointe, Howell, Linden, Livonia, Novi, Ortonville, Rochester and Waterford, to name just a few. Solar electric systems, also called photovoltaic or PV systems, are reliable and pollution-free. They make use of a renewable source of energy—the sun. While PV systems for homes and businesses are becoming more affordable all the time, a PV system can still be a substantial investment. As with any investment, careful planning will help you make the right decisions for your home or business. It’s time to have your utility pay you! Reduce your energy bill and potentially save thousands in taxes! Residential PV systems, usually roof-mounted but often ground-mounted as well, use solar panels made of silicon to convert sunlight into electricity. Since 2006, the cost to install solar panels has dropped by almost 75 percent. Depending on the size of the solar panel system, homeowners can save as much as 50 percent on their electric bills. In addition, studies show that solar powered homes sell 20 percent faster and for 17 percent more money than homes without solar. 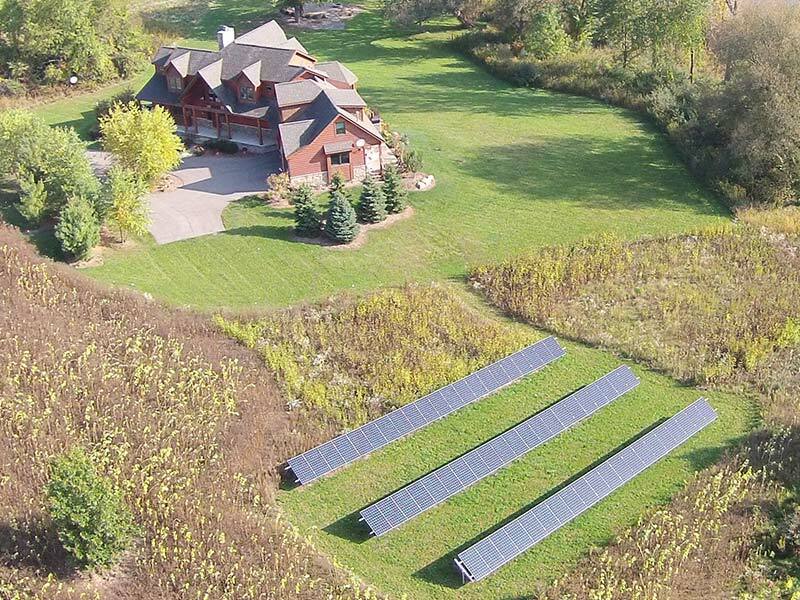 When it comes to home solar power, Oak Electric does it all. We’ll help you configure the best system for your home and energy requirements; properly install the system, including arranging for permits and inspection; choose from our flexible financing options; and explain available federal tax credits and energy buyback options. Oak Electric has completed a number of solar installations for business, commercial and industrial customers—warehouses, schools, restaurants, parking lots and corporations—in Michigan. We have even installed a solar power system at our headquarters in Waterford so that we can collect first-hand data on the benefits and savings of renewable power systems. Let us show you how taking your commercial operation “solar” can help you lower your energy bill and reduce operational costs, reduce pollution, lock in energy costs for the long term, enhance your energy security and increase the value of your company. How do home solar systems work? A photovoltaic (PV) solar energy system is composed of solar panels, racking for mounting the panels on the roof, electrical wiring, and an inverter. From sunrise to sunset, the solar panels generate direct current electricity (DC) which is sent to the inverter. The inverter converts the DC into alternating current (AC), the type of electricity required for household use. (SunPower also offers AC solar panels which do not require a central inverter because they feature a microinverter that’s factory integrated into each panel.) The AC power is delivered directly to your home’s main electrical service panel for use by you and your family. How does shade affect a solar system’s performance? It’s important to minimize shading because solar panels operate at optimal output when their entire surface is fully exposed to direct sunlight. The system will still produce energy if it is shaded but its output will lessen. How long will a solar system last? 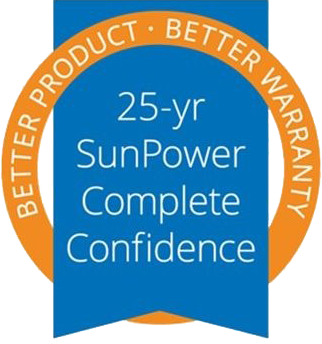 SunPower systems are designed to have a useful life of 40 years or more. How much will I save with a solar system? Your current monthly energy use and the size of your system will determine your actual savings amount. And with little or no startup costs, systems can start paying for themselves immediately. Savings will vary based on several factors, including system size, performance, your household’s average energy usage as well as any applicable solar credits, tax incentives, and current solar energy buyback (net metering) rates offered by your utility company. Will a home solar system increase my property taxes? Having a solar system typically adds value to your home. * Depending on where you live, there is often no increase in your property taxes. How much will a SunPower solar system for my home cost? SunPower has a wide variety of financing options, including some that don’t require you to pay any upfront costs if you qualify. The cost of your solar system depends on several factors, including your current energy usage, your available amount of unshaded roof space, your local utility’s net metering policy, and other factors. Are SunPower solar panels better? Despite the generalities you may hear in solar advertising, not all solar systems are created equal! Of all the solar panels on the market, SunPower panels have the highest efficiency* and convert the highest amount of sunlight into electricity. This means our solar panels generate more power than conventional panels within the same amount of space, and you’ll need fewer panels to produce the energy you need. You can maximize your available roof space to choose the best, unobstructed location for electricity production. SunPower’s world-record panel efficiency** means you’ll save more money over time by choosing SunPower panels.